Woodstock Gin Co. anyone tried their stuff? Just checked, they do a tasting for R50 if you felt like heading over to try. 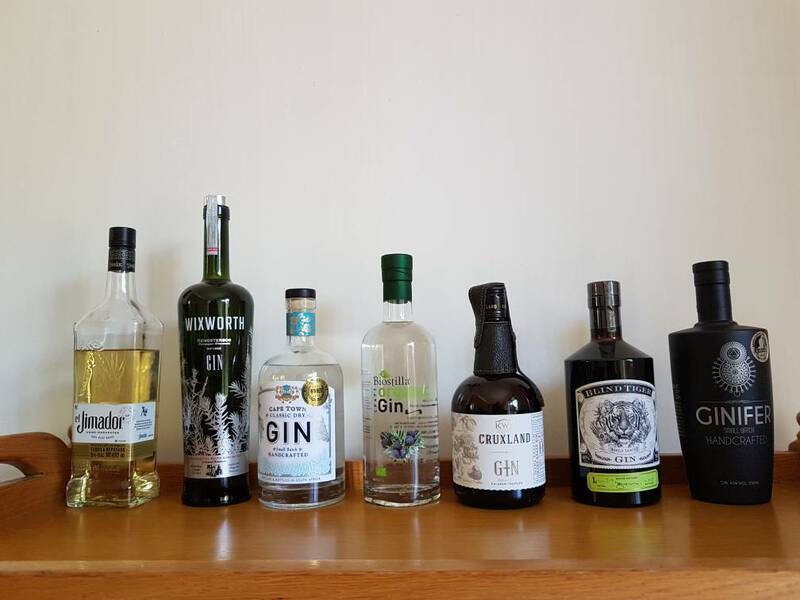 Some gins I've picked up recently. Anyone here tried making their own gin at home? Popped in at blauklippen today. This is the first time I hear about craft gin, sounds very interesting but I dont drink it at all. I would like to buy someone a bottle as a Christmas gift, nothing too expensive but something nice. Is there perhaps some suggestions? Location? There's usually a few Craft Gins on the shelves at my local bottle stores. Look for something made in SA. I know Inverroche is widely available. I just bought a bottle of the Amber thanks. No problem. I prefer the Verdant, but the Amber is nice too. Recently tried the Blaauwklippen No.3. Tastes amazing. Anyone know whether they add sugar to the gin? ^^^ Sneaking tequila into the thread eh. Bought this for someone recently. I liked it, they liked it, and the bonus of it turning pink when you add tonic water. Not sure yet, only got it yesterday. Haven't tried the Blind Tiger either. My favourite is probably the Biostilla. Hope the other stores join in with some specials for Gin Day. Did a tasting at Inverroche over the weekend. Their gins are still top of the pile for me. A flavour for every occasion. They also offer a Gin distilling course where you get to make your own bottle of gin. Definitely on my list of things to do when I go to Stilbaai again. I totally agree. Inverroche is the good stuff. I've also been to the distillery during December, and really enjoyed it. I bought a bottle of Cruxland as well, but it's not much different than Gordon's. Very strange, everyone seems to be talking and reading about Six Dogs locally made craft gin these days but not a mention of it on this thread! It is mentioned a few posts up.